Jason Gurley is a rising star in the indie author scene. I was lucky enough to get to know him before he was a chart-topper over at Amazon. Most indie authors are humble when they aren't selling well. Jason Gurley has got to be the most humble author I know after hitting it big; it shows in his answers below, and it shows in how well he treats his fans. With no further ado, an interview with Jason Gurley. TR: I have been chatting with you for a little over a year now, but for the people who don't know you yet, tell us about yourself. 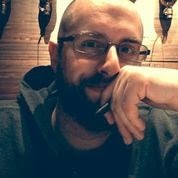 JG: I’m an indie author and designer from Portland, Oregon. (Well, that’s where I am now — but I was born in Texas, raised in Alaska, and spent a lot of wonderful years in California.) I’ve written a bunch of novels, several of which I hope will never be read, some of which have been read a little, and at least one of which has been read a little more. I’m a husband, a father, and a very, very tired boy. TR: Everyone is talking about how long it took you to finish Eleanor (releasing on June 27th, 2014 and available for pre-order on Amazon). The number being thrown around is thirteen years. What took you so long? JG: Thirteen years is accurate. Eleanor is a book that I started writing during what you might call a period of change in my life. I was twenty-three, and questioning a lot of things that I’d grown up believing in. I started writing the book as a way to sort through some of those questions. Over the years, as I figured out some of those answers, the book began to change. I didn’t have to burden it with any unfair expectations, and so it was able to become its own story, one that didn’t have to answer my silly life questions. But really, the short answer is that I grew up. For a long time, I just didn’t have the experience I needed to tell Eleanor’s story the right way. TR: Six months from now you feel the Eleanor release was a success. What has happened in those six months to make you feel that way? JG: People are reading the book! After all these years, that’s just about all I really need. The book was a long but ultimately very satisfying journey for me. If one person reads it and is entertained, as cliche as that may sound, it’ll be enough for me. I suspect that this is one of those books that absolutely about the journey, and not the publication. TR: If you had to pick one book, besides Eleanor, for someone to read as an introduction to your work, what book/short story would you pick and why? JG: The Martian Chronicles, by Ray Bradbury. No, I know what you’re asking, but that’s still the book I would choose. That’s one of the books that inspired me to write, and taught me so much about the art of storytelling. I pick it up several times a year, flip to any random chapter, and just begin reading. It’s such a wonderful book, full of hope and poetry and danger and awe. Read that book, and it’ll tell you everything you know about the writer I hope I one day become. But of my own work? The Dark Age. It’s just a little short story, I know, but it captures so much of who I am and the things that I love about telling stories. Eleanor took more than a decade, but The Dark Agetook only a couple of hours to write. I think it’s the better story, possibly the best one I’ve written so far. TR: Your Settler's series does not use quotation marks. You've said it was an artistic choice and you stand by it. Talk about why you feel the change in convention makes the story better. JG: Oh, thank you so much for asking this. Yes, you’re right, the books in my Movement series are — gasp — quotation-mark-free. So is The Man Who Ended the World, actually. I chose to write the Movement books — The Settlers, The Colonists and the upcoming The Travelers — without quotation marks for a couple of reasons: 1) I like them that way; 2) the absence of quotation marks lends a sort of diaphanous, hazy quality to the story; 3) it strips away the sensation of fiction, and allows the reader to imagine that what they’re reading sort of actually happened. I’ll be the first to admit that there are many readers who just hate this, and that’s fair. But other readers don’t mind it at all, and generally seem to like these stories. They’re big, sprawling stories that take place over hundreds — and, ultimately, thousands and thousands — of years, almost like little gospels in a scroll about what happens to us when we abandon our planet and take to the stars. The books are very specifically inspired by the structure of The Martian Chronicles, actually — told in a series of connected and related episodes, each one anchored by a different character. They’re a unique set of stories, and I think it takes a unique reader to fall in love with these books. TR: You tend to give away your writing to people subscribed to your newsletter before you release it for sale. Seems like that would cut into your profits. Why did you decide to take this approach? JG: That’s right, I do. Many people have read my work, but I consider those who subscribe to my Movement newsletter to be my most interested readers, my truest advocates, and many of them are. They’re passionate about independent authors — not just me, but many others as well. And I recognize that taking a chance on an unknown, self-published author can be a difficult step. There are so many of us these days, and the law of averages suggests that not every independent book is going to be memorable — at least in a positive way. So as a way of thanking people for taking a chance on my books, I give them my future work for free.With the exception of my Kindle Worlds titles, which aren’t really mine to give away, I send a free advance copy of almost all of my books to my subscribers before the books are published. The next one I’ll be giving away, of course, is Eleanor. By the time Eleanor is published, I’ll have given away something like 750 free copies to my readers. That number will go up, obviously, if more people sign up in the next week or so. I’ve heard the argument that this cuts into my profits, and I get it. That’s an understandable argument to make. I tend to look at it this way, though: I’m not earning a living from my writing. I’m nowhere close to that, and, if we’re honest, the odds are extremely good that I’ll never earn a living from my books. I’m okay with that, and that means I don’t have to put that kind of pressure on my work. My biggest goal is to put my stories in the hands of readers. That’s my metric for success here. Be nice. Be generous. Never take readers for granted. That’s why I do this. TR: Name three contemporary and three classic books you feel everyone should read. JG: Well, I’m already one ahead with The Martian Chronicles, so yippee! A Wrinkle in Time, by Madeleine L'Engle. Earth Abides, by George R. Stewart. All three are wonderful classics that I’ve read and re-read and re-re-read. All have shaped me just a bit here and there as a writer. In fact, you might trace all three to specific books I’ve written. My influences are not all that subtle. Contemporary novels: Audrey Niffenegger’s The Time Traveler’s Wife is one of my favorite novels of the last twenty years. Ditto Cormac McCarthy’s marvelous — and quotation-mark-free! — The Road. And that third spot would probably be a battle between Helen DeWitt’s The Last Samurai, which is challenging and incredibly smart, and Steve Kluger’s magical The Last Days of Summer. TR: Jason, thank you for your time. 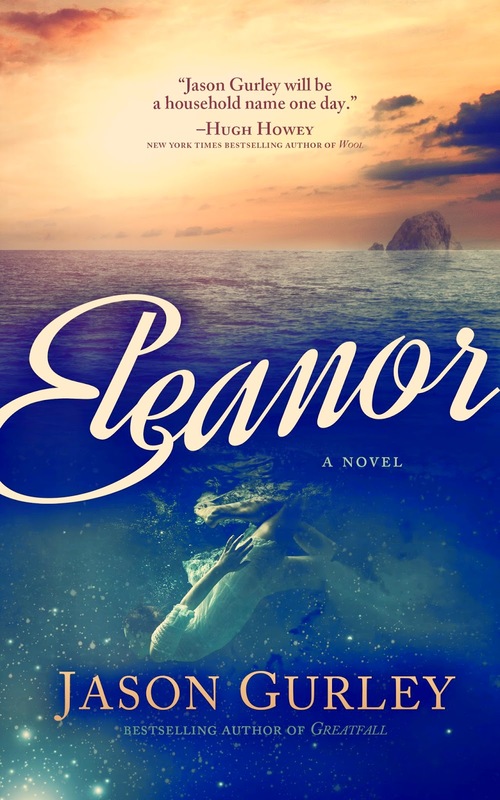 I am excited that you are making a name for yourself and look forward to reading Eleanor. JG: I’ll be satisfied if it’s Eleanor’s name that people know, and not my own. Thanks so much for having me here, Thomas, and I’ll be watching for your Desperate to Escape omnibus! I can’t wait to read it. Note: You can order Jason's masterpiece by clicking on the beautiful cover below. Wonderful interview! All the questions I wanted to ask!